The Video Mount Products LCD-MID-CM2 Dual Mid-Size Flat Panel Ceiling Mount Adapter - Black works with the VMP LCD-MID-C to suspend two 27 to 42" flat-panel displays from a ceiling. The LCD-MID-CM2 attaches to the rear of the LCD-MID-C mount to form a ceiling-mounted assembly for back-to-back displays. 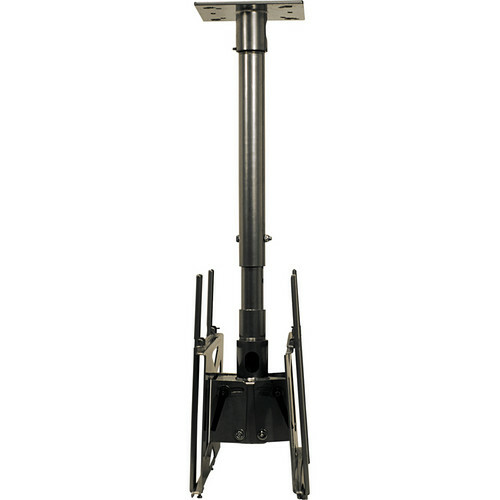 The mounting rails are adjustable to accommodate a variety of display sizes. The maximum supported VESA hole pattern is 400 x 200mm. The tilt of the LCD-MID-CM2 plate is adjustable from -5 to +20°. 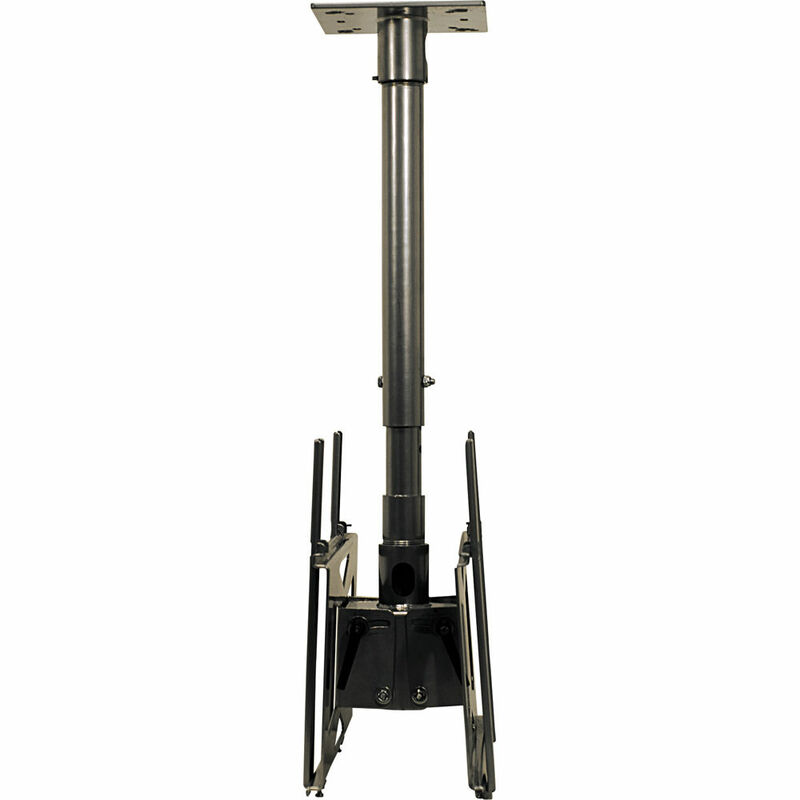 When attached to the LCD-MID-C, the combined load capacity of the system is 200 lb. Box Dimensions (LxWxH) 19.8 x 10.4 x 3.6"